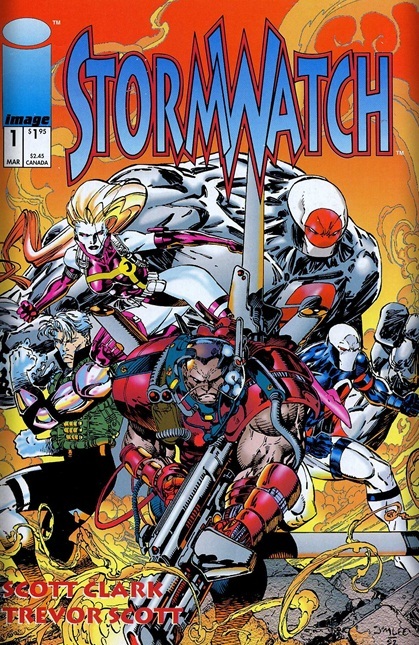 Stormwatch lead by Battalion and a batch of Mercenaries do battle over a “seedling”. Stormwatch is successful but in the process Battalion’s friend Windsor is vaporized. Days later Windsor’s death still haunts Battalion. That night Christine Trelane an activator brings home his brother Malcolm who was almost arrested after being complicit in a robbery. Battalion kicks them out and refuses to discuss anything with them. At Windsor’s funeral they are attacked again by the mercenaries who have come for Malcolm. Without help or his suit Battalion is outmatched. Christine decides the only chance they have is to activate Malcolm’s latent powers. 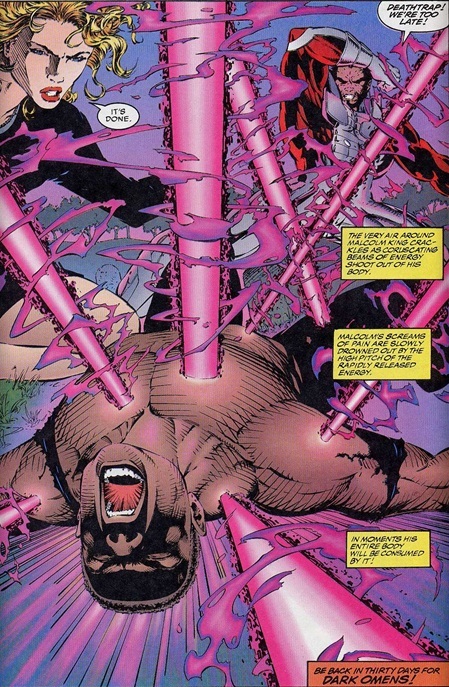 The issue ends as his powers erupt from his body. 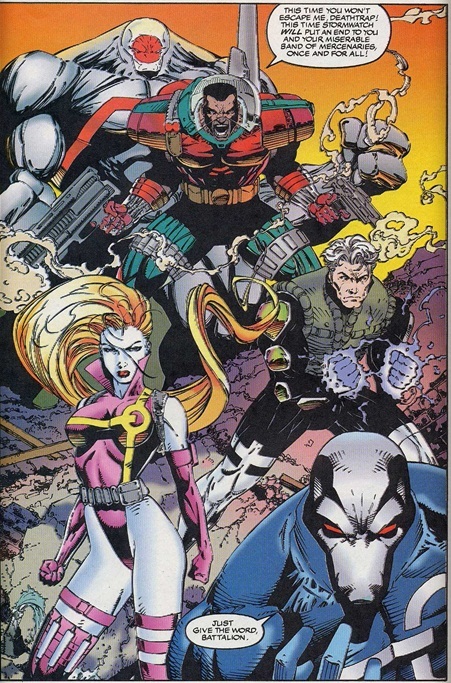 Cover– Art by Jim Lee, vintage 90’s, front and center we have Battalion flanked by Winter, Hellstrike, Diva and Fuji. Well composed and beautifully rendered. Black Hero– Battalion is the star of this series. It may be called Stormwatch but the only person to get any type of characterization, we meet his mother and brother as well. We also learn he’s very protective of them. When his friend Windsor is killed he takes it badly, Battalion also goes against orders to leave Windsor behind and simply secure the “seedling” this shows the high value he places on human life, even above mission parameters. We also have his little brother Malcolm getting his powers this very issue. Seedlings– Just for clarity a seeding is the Stormwatch equivalent of a mutant (marvel comics) and a metahuman (DC Comics). Art-Scott Clarke is on interior art duty and while it’s not Jim Lee quality it’s just adequate enough to convey the action heavy scenes well and honestly this issue is about the action. Action- So many explosions, flying energy and fists your transported right back to 1992. Team– For a book named after a team it spends an awful lot of time focused on one member, everyone else was window dressing.